Today, SpaceX's Falcon Heavy rocket successfully lifted off from Pad 39A at Kennedy Space Center in Florida. This was the first flight of the 27-engine rocket; so far, the mission appears to be going well. The rocket made it through the the moment of maximum stress and released the two outer cores, which have now successfully landed back at Kennedy Space Center. However, it will be some time before we know whether the Falcon Heavy's demo flight was a full success. After liftoff, the rocket will coast for six hours before a trans-Mars injection burn. 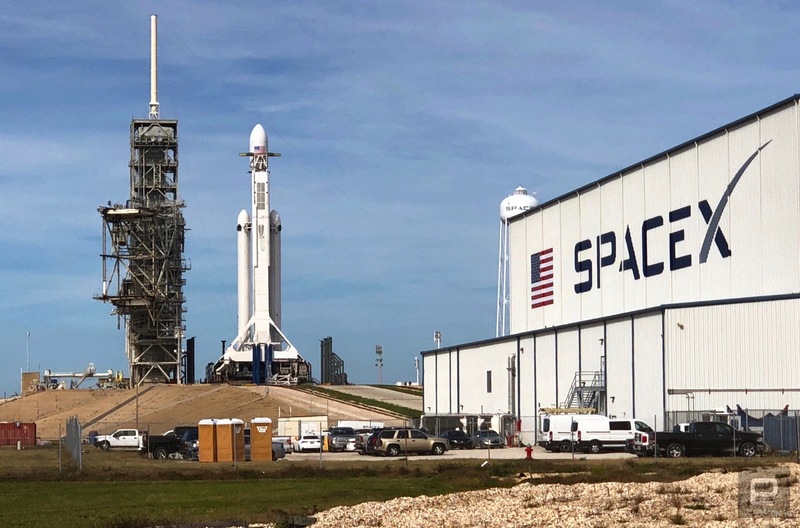 Elon Musk revealed the details of the Falcon Heavy mission in a conference call with the press earlier this week and emphasized the risks at every stage of the flight. The successful launch of the Falcon Heavy signals a giant step forward in spaceflight; it is the most powerful operational rocket in the world. The rocket has a few more launches scheduled, but now that SpaceX has demonstrated that it works (and assuming the mission goes well), it's likely more customers will be interested in the Falcon Heavy. Update, 4:19 PM ET: We're still not sure what's going on with the core booster. We'll update as soon as there's word from SpaceX. Update: 4:40 PM ET: Looks like the upper stage of the rocket is performing as expected, according to Elon Musk. Mallory Locklear contributed to this post.